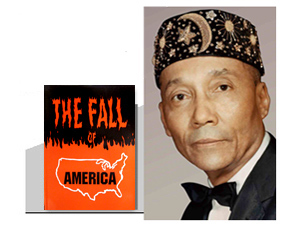 The four great judgments that Almighty Allah (God) is bringing upon America are rain, hail, snow and earthquakes. We see them now covering all sides of America, as the Holy Qur’an prophesies, curtailing her on all her sides. And these judgments would push the people into the center of the country, and there they would realize that it is Allah (God) Who is bringing them and their country to a naught.